Why do you Need a Well-Designed Catalogue for your Business? 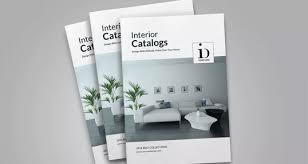 Catalogues are a great way to connect with customers by bringing your brand’s story to life and presenting your products and services. A conceptually designed catalogue can be the biggest strength of your company, and it is an excellent investment in the company's future growth. If you like the idea of working with a bunch of friendly, enthusiastic, proactive and expert professionals, then you have come to the right place. At WebFries, we help all kinds of businesses create the perfect eye-catching catalogue design for both your services and products. We create a digital design which you can then use in your digital channels or print it for traditional marketing. We may be in the digital era, but still, people love to feel the physical connection with the product catalogue. They increase your credibility and are versatile. The main aim of product catalogue is to drive customers to your website which is the central repository of all your business information. Our designs convey the beliefs of your business and reflect the message of your company and product. Our innovative catalogue graphics design team analyses your objectives, requirements and design the catalogue precisely. We understand each business is different and never go with standard templates. We always take care that image and content placement complement each other to make a powerful visual impact. 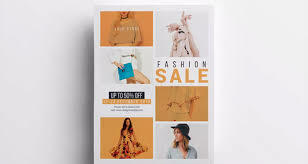 Once you design catalogue at WebFries, our team will help you throughout the printing process with our associated printing partners and get it delivered. We would love to Talk Catalogues with you! Give us a Call & let’s get started! Why Febfries For Catalogue Design? We have worked with multiple organisations that have appreciated our work, talent, and ability. We value each feedback and review. We are continually updating ourselves to create better end results for you. Our experience in company catalogue design and other branding services like logo design, letterhead design, and business card design is highly praised not only by our clients but also envied by our competitors in the market. Our reasonably priced services offer you the maximum benefits possible, and make sure that you get the best service. Your data is safe with us. We understand the value of your information and details. We never share your details with anyone at any cost. We make sure that you stay in the loop throughout the process. We don’t treat you as an outsider, and you get to know all that’s going on in your project. We wanted a corporate brochure and approached Webfries for it. They came up with brilliant designs and on finalization of the design they deputed their best Graphic Designer dedicated for our project. We are impressed with the quality efforts. Thanks Jasmeet for putting in such a great show.